At this Brookdale Research Field, MBFI is researching extended grazing strategies. This page provides information about this particular research project; including the background, objectives, and updates. High density bale grazing at Johnson Farm. Bales are placed 25 feet apart and there are 50 feet between bale rows. High density bale grazing at the Johnson Farm. This shows the ends of the bale rings when they are placed 25 feet apart, almost touching! Extended grazing strategies can help reduce feeding costs, reduce labour requirements and increase nutrient returns to the soil. Because of these potential benefits, extended grazing is increasing in popularity as a winter feeding management technique. There are also a number of environmental benefits of using extended grazing, in particular reducing the use of fossil fuels used in the winter feeding of livestock. 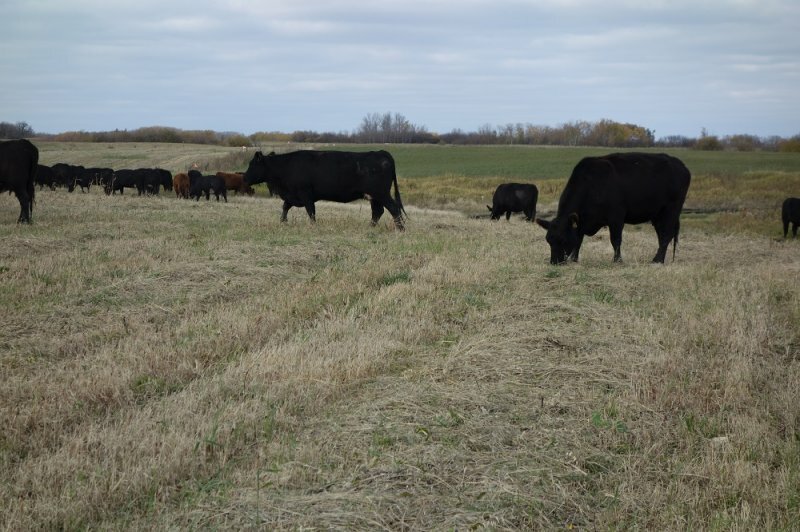 However, there are also some concerns about nutrient runoff which is why the environmental impact of extended grazing will be monitored throughout the project. Fuel usage in a conventional feeding systems versus an extended grazing will also be compared. 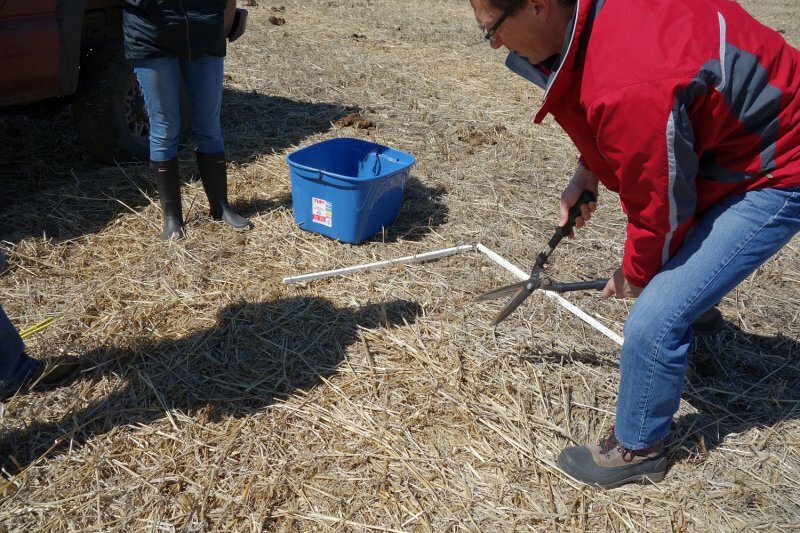 To showcase the advantages and disadvantages associated with different types of extended grazing techniques including: bale grazing, swath grazing and corn grazing. To determine how cow production and body condition is affected by extended grazing. 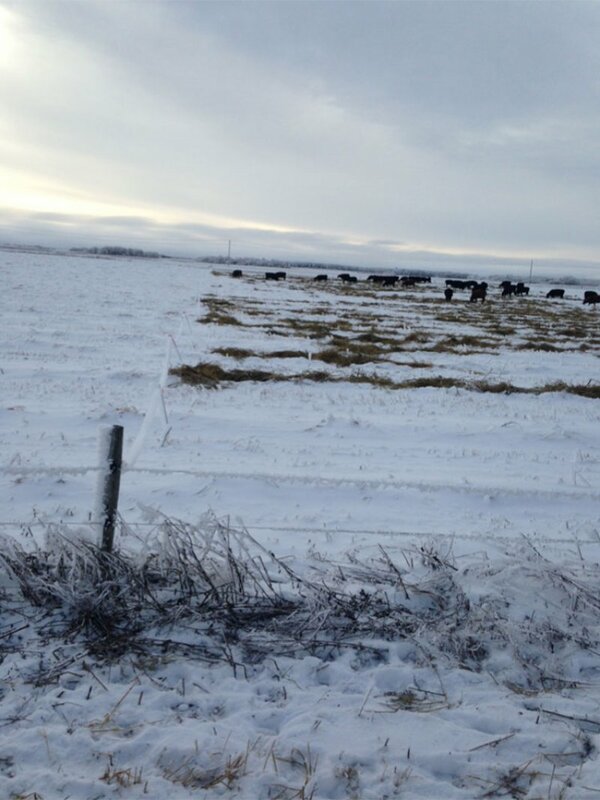 To complete an economic comparison between extended grazing and conventional confined winter feeding. 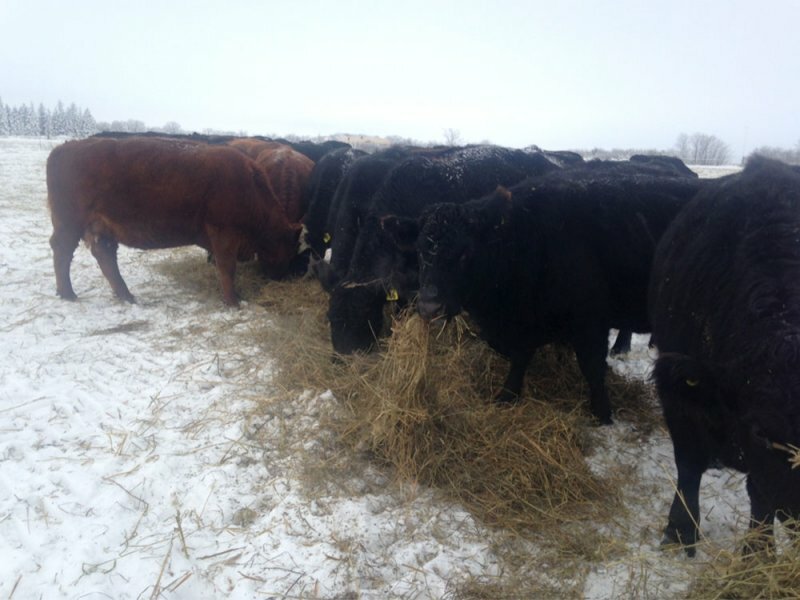 To create a year-round, extensive cattle management system on the Brookdale site of MBFI. 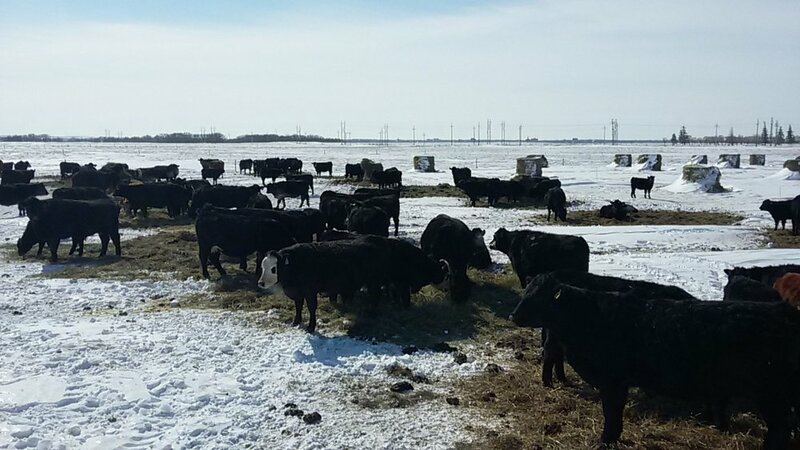 As of May 2016 - Fifty-five cows were extensively grazed at the Brookdale site of MBFI over the 2015-2016 winter. They started grazing on swath grazed millet in December, were moved to corn grazing in February and finally moved to bale grazing in March. The cows retained their body condition score adequately throughout the winter and had the highest daily gain on the corn grazing. Overall, the residue left on the fields was high in all three feeding types; method of reducing this residue will be practiced in future study years.